Monsters are awesome. And playing games with monsters - also awesome. 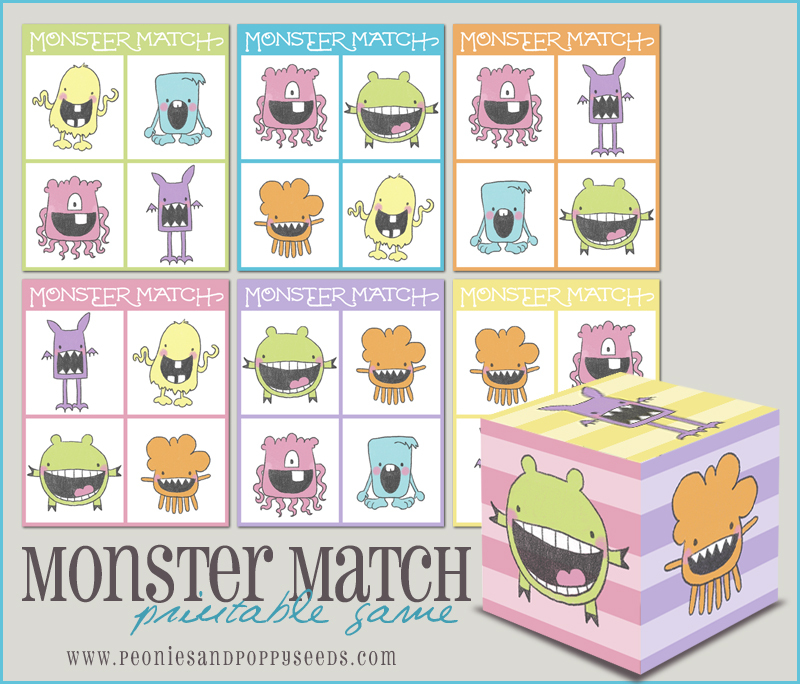 This printable game teaches basic matching skills and turn taking. Plus, it's just fun to play.